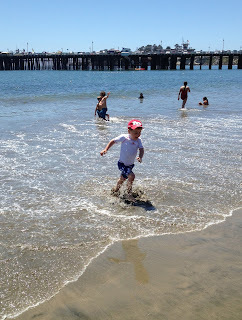 1200 Some Miles: We live an hour from the beach. 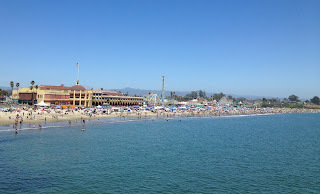 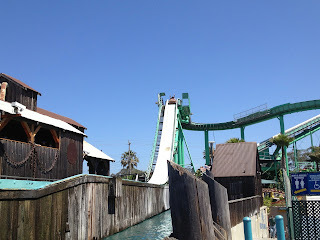 We live an hour from the beach, so we met some friends at the Santa Cruz Boardwalk on Saturday. 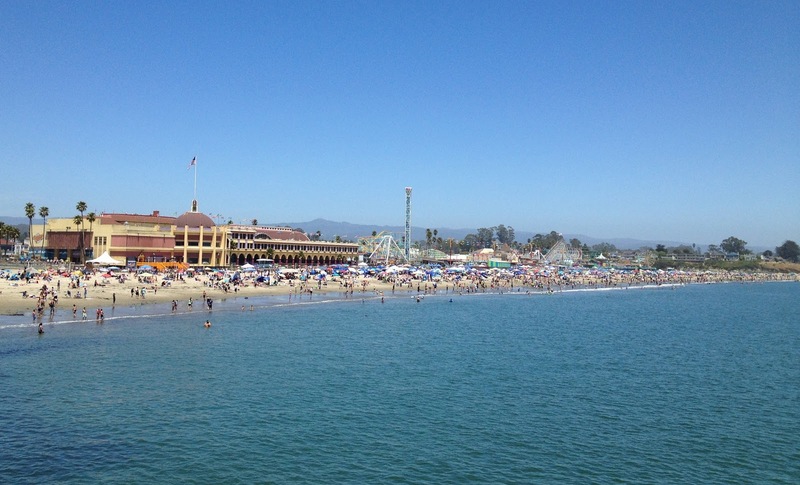 I am glad that we arrived early since it gets crowded as the day goes on. 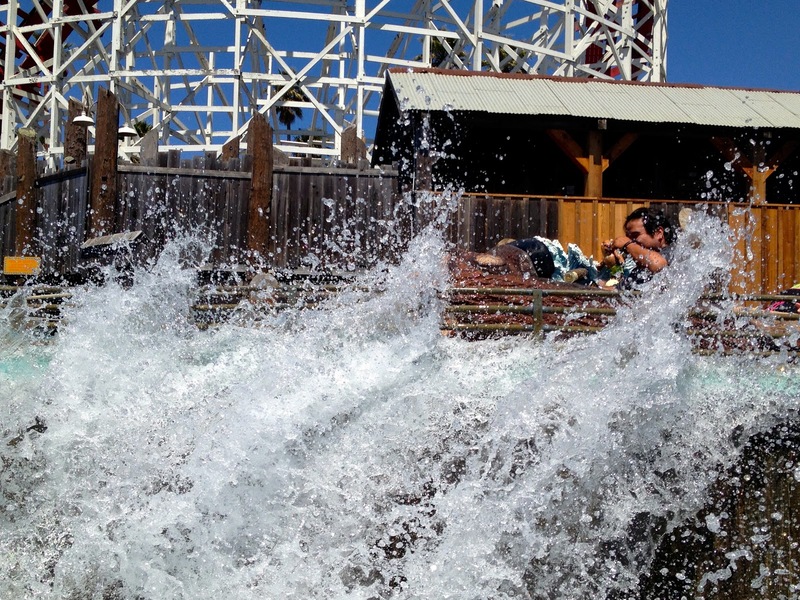 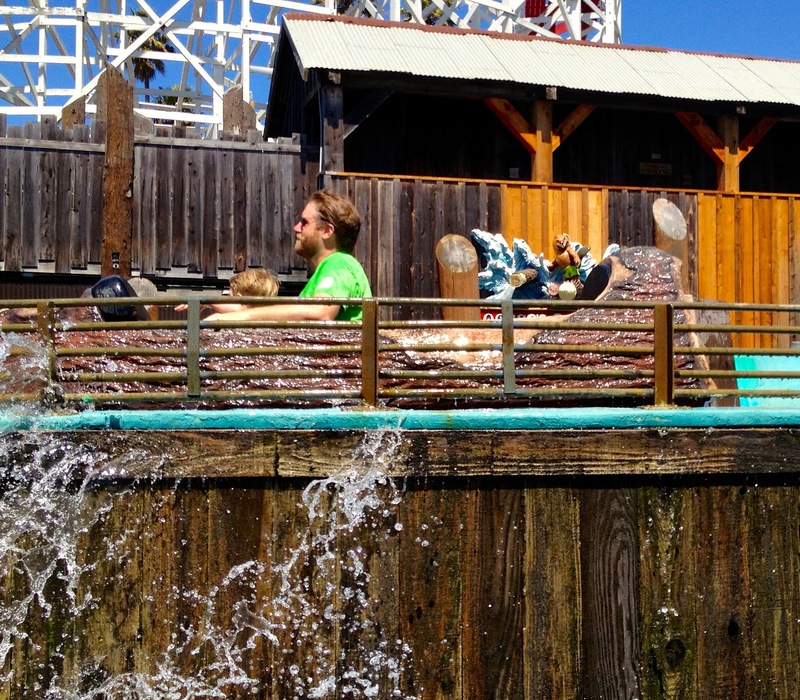 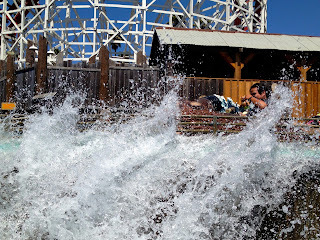 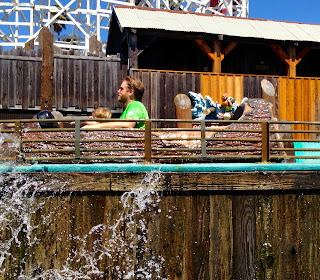 Alex loved the rides and playing in the water. 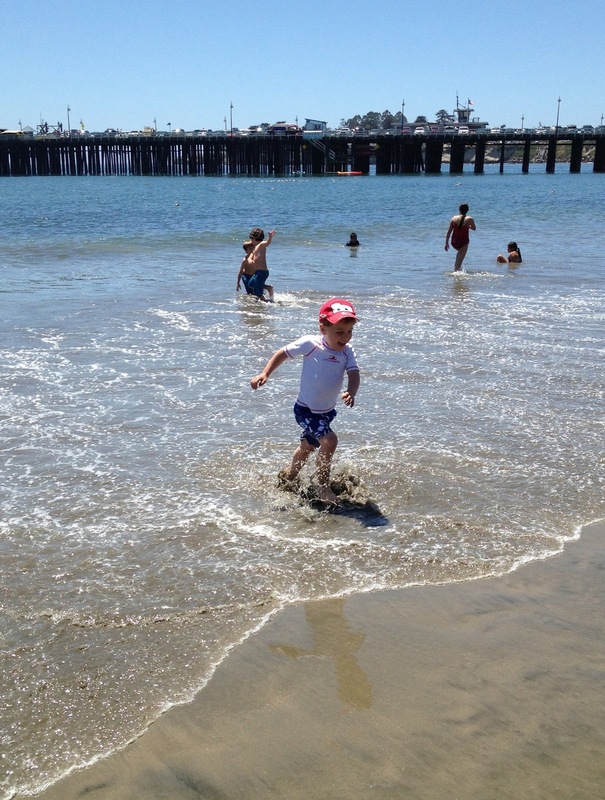 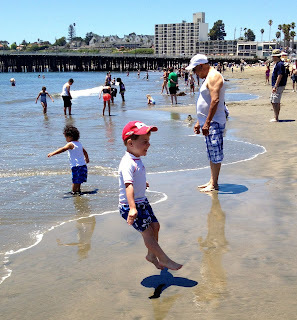 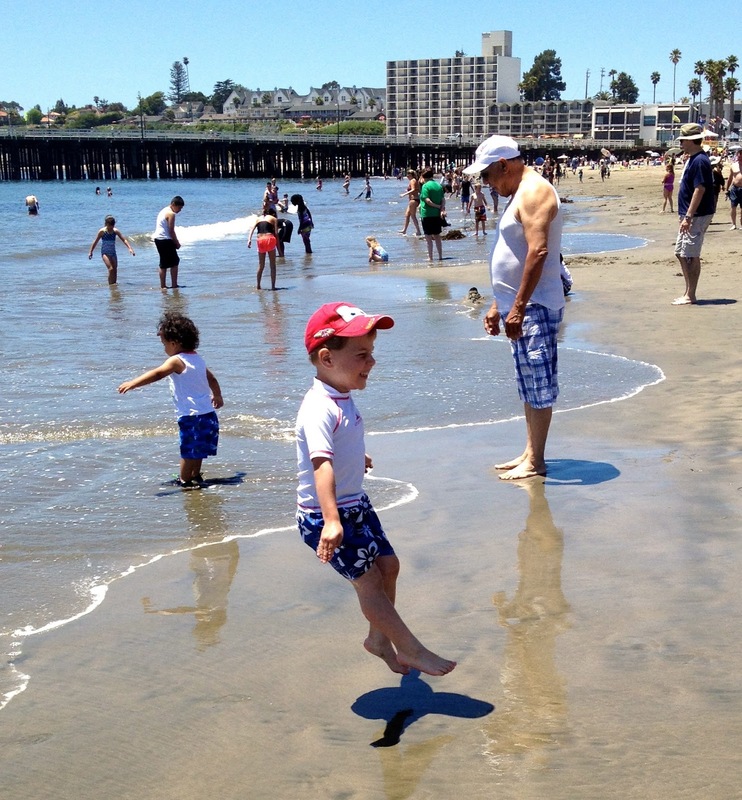 He was born in South Texas, so he is not used to the cold Pacific water yet. 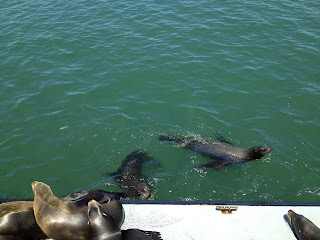 We walked out onto the Pier and saw the noisy sea lions. 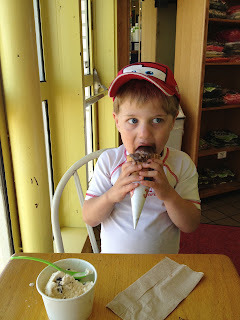 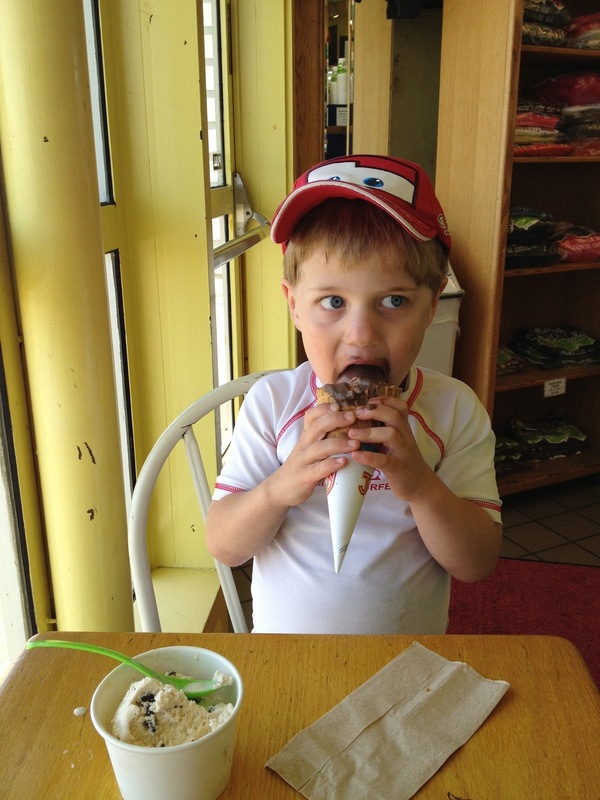 We ended the trip with some ice cream, but Alex mainly wanted my chocolate cone.